Hi Techies, In this Post we will Discuss Qiku Terra & Qiku Terra Prime Specifications, Price in India, Features & News. So Let’s Begin. 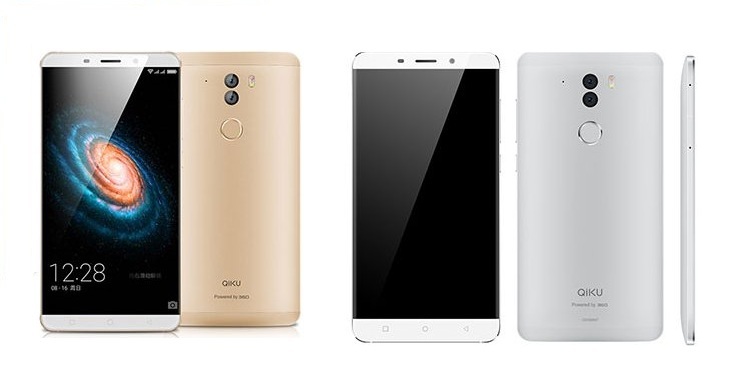 The Qiku Terra is equipped by a Hexa Core Snapdragon 808 CPU, 3 GB Ram, 6 Inch Quad H.D Display. Whereas the Qiku Terra Prime sports a 2 GHz Octa Core Snapdragon 810 CPU, 4 GB LPDDR4 Ram and rest of the specs are similar to Qiku Terra. The Qiku is relatively new company in India. Back in September they announced 3 devices i.e. Terra, Luna & Note. Out of which the Terra is the flagship device which is now unveiled in India. Note: Both the variants are identical in terms of overall design & looks. Octa Core Snapdragon 808 CPU. 6 Inch Quad H.D Display. (~497 ppi pixel density). Dual 13 MP (One Sony I.M.X 278 to capture color image & 2nd Sony I.M.X 214 to capture black white images where both the images are combined to get the perfect shot ) Rear Camera with Dual LED Flash. Turbo charging: 2 hours of backup with 5 minutes of charging. & 50% charging in 30 minutes. Octa Core Snapdragon 810 CPU. OS Android OS v 5.1 (Lollipop). Layered with 360 OS. CPU/GPU Hexa Core (1.8 GHz Dual Core Cortex A 57 & Quad Core 1.4 GHz Cortex A 53). Qualcomm Snapdragon 808 M.S.M 8992. | GPU Adreno 418. DISPLAY 6 Inch Quad H.D Display. Resolution 1440 x 2560 pixels (~497 p.p.i pixel density). CAMERA REAR 13 MP. (Sony I.M.X 278 Sensor) Resolution 4128 x 3096 pixels, auto focus, and dual-LED flash. | Features: Touch focus, face detection, panorama, H.D.R, Geo-tagging. | Video Features: 2160 p @30 fps, 1080 p @30 fps, H.D.R recording | FRONT/SELFIE CAMERA 8 MP. BATTERY Non-removable Li-Ion 3600 m.Ah. STORAGE 32 GB Internal. Expandable up to 64 GB via micro SD card. (Unconfirmed). FEATURES Hexa Core Snapdragon 808 CPU. | Fingerprint Sensor. | Quad H.D display. | Corning Gorilla Glass 3 Protection.| Dual 13 MP Rear Camera. | Fast Battery Charging. SENSORS Accelerometer, proximity, compass, Gyro. CPU/GPU Octa-core (2 GHz Quad Core A 57 And 1.5 GHz Quad Core A 53) Qualcomm M.S.M 8994 Snapdragon 810 Chip sets | GPU Adreno 430. STORAGE 64 GB Internal. Expandable up to 64 GB via micro SD card. (Unconfirmed). FEATURES .Octa Core Snapdragon 810 CPU. | Fingerprint Sensor. | Quad H.D display. | Corning Gorilla Glass 3 Protection.| Dual 13 MP Rear Camera. | Fast Battery Charging. It is expected to price around 37,000 Rupees in India. Unfortunately there is no official launch date & price is confirmed for the Device. Stay Tuned for more updates. It is expected to price around 25,000 Rupees in India. Unfortunately there is no official launch date & price is confirmed for the Device. Stay Tuned for more updates. For More Details You Can Visit Qiku Official Website.